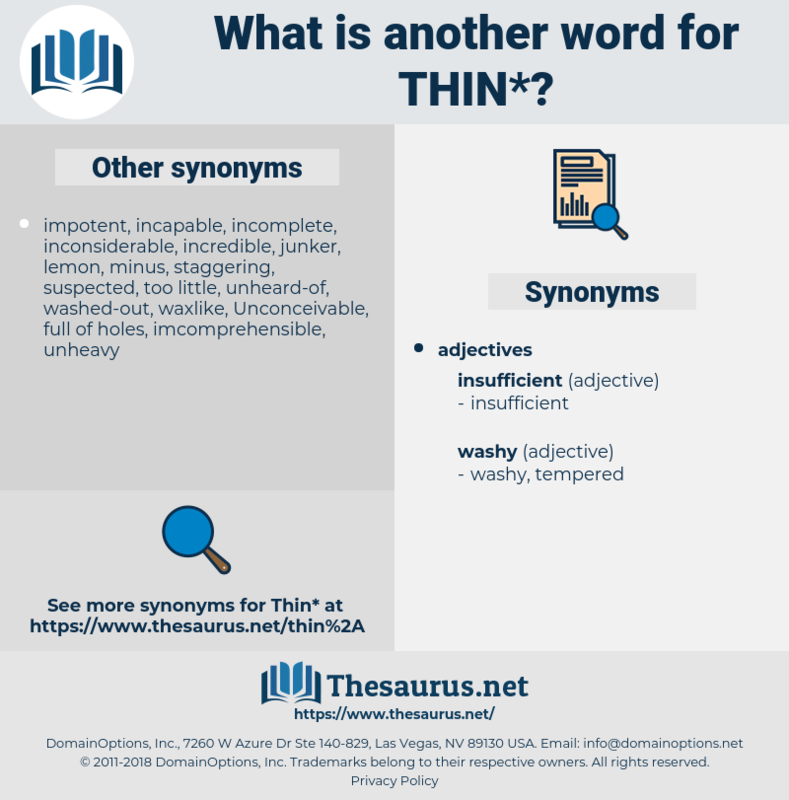 What is another word for thin? tiny, shallow, delicate, meagre, scarce, modest. thin-film, tenuous, insubstantial, lean, lightweight, light-weight, scant, fragile, frail, flimsy, subtle, petite, meager, light-duty, faint, feeble, nimble, tight. intelligent, reasonable, adequate, sufficient, substantial. fat, large, undiluted, flushed, colorful, solid, strong, obese, concentrated, dense, liberal, generous, plump, big, heavy, wide, efficient, inflated, broad-minded. 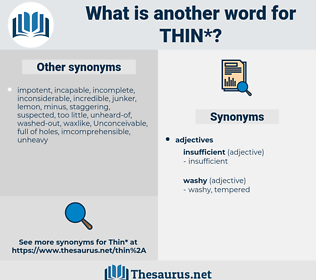 significant, Widish, fortified, important, huge, soft, husky, blunt, evaporated, Thickish, clumsy, spirited, hippy, quilted, rude, flabby, massive, fleshed out, condensed, immense, coarse, soupy. enlarge, develop, grow, beef up, increase, strengthen. I have noticed for weeks how thin and grave he has been growing to be. cut down, trim back, turn, reduce, change state, bring down, cut back, trim, cut, trim down.